The birthday has duration 3hours with lunch or snack. 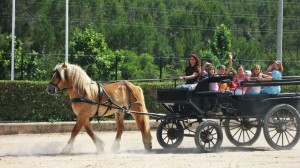 The activities we offer are: horses, adventure circuit, swimming pool, playground and more things. 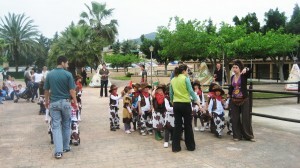 Aso the kids can have a birthday based on the theme “The Wild West”. Dressed up as cowboys and native americans, children will learn how to use bow and arrow. A native american camp set will be arranged and those participating will be initiated in horseriding. Hamburger with french fries or nuggetts with french fries or pizza with ice cream terrine. CHILDEN NUMBER: minimum of 15 children. For booking the birthday should leave deposit of 50€. WE INFORM YOU THAT WE MADE BIRTHDAYS ALL YEAR !